In the wake of the crash of TransAsia GE-235, the airline tested all 68 of the pilots currently flying the ATR 72 aircraft at the recommendation of Taiwan's Civil Aeronautics Administration. Of those pilots given an oral examination, 39 passed, 10 failed and 19 others were grounded until they take the exam. All of the pilots will be given additional simulator training as well. Foremost in any accident investigation is an effort to identify the primary cause of the accident and to suggest changes which will forestall any recurrence. In the case of TransAsia GE-235, the pilots' erroneous decision to shut off their remaining good engine appears to be the primary cause. The subsequent testing and failure of a number of pilots seems to provide a smoking gun that poor procedural knowledge is the culprit. Of those who failed the exam, they will most likely be retrained and retested before being allowed to fly again. Sounds like the problem has been quickly and easily identified and solved. We can all go safely back to our phones. Or can we? In any investigation, care should be taken to also identify underlying trends which may contribute to the obvious causes of any accident. A facile determination of the cause and a quick and easy palliative certainly serves corporate and political interests, but not necessarily those of the flying public. This can be especially true if the underlying problems prove to be stubborn, or expensive to fix, or if the political will to fix them is lacking. I believe that all three of these things are happening here. Airline crashes, besides being human tragedies of the highest order, are also both economic and political tragedies. The economics involve not only the expected payment of upwards of a million dollars per fatality, and the loss of a revenue producing asset worth perhaps $20 million in this case, but also the lost revenue from the inevitable drop in bookings which follows any air disaster. Findings of fault with training, maintenance or procedures can increase any liability or punitive damage awards. The political tragedy is more subtle but no less real in that questions involving regulatory oversight and preventative actions will be asked of government oversight entities. In the US, the FAA is occasionally referred to as being a macabre sounding "tombstone agency". This term refers to a perception that nothing of substance gets changed until some bodies pile up, and that the agency is essentially reactive. In the meantime, after any crash, regulatory agencies will engage in a bureaucratic circling of the wagons to deflect any political blowback concerning regulatory oversight or lack thereof, which may have somehow contributed. The words "FAA Approved" which must appear on each and every page of the many volumes of manuals, checklists, and documents used by all US airlines, provide ample incentive for investigators to fault pilots' failures to follow guidance, and not the guidance itself. In many countries with less stable governments, an air disaster can be a useful cudgel to be used by an opposition political group with which to criticize a currently ruling party or government. There has been some speculation for instance, that a possible motive for the captain of MH370, the Malaysian airliner which disappeared last year, was to embarrass the Malaysian government which had recently brought charges against an opposition leader towards whom the captain had strong sympathies. So in consideration of both corporate and political needs, incentives are well aligned to find some measure of incompetence or malfeasance with the people who always arrive first at the scene of any crash, the pilots. Dead pilots, conveniently unavailable to defend themselves, are useful for this effort. How Stupid Could They Have Been? As has been widely surmised through the release of the flight recorder data, it appears as if the pilots of GE-235 misidentified which engine had failed, and then shut off their remaining good engine. For this they are being pilloried in the comments sections of various blogs and social media as incompetents, idiots and worse. Yes, it was a boneheaded thing to do, and it cost them their lives, but does anyone believe they did it on purpose? Or couldn't tell their left from their right? The gauges on an aircraft panel are fairly straightforward. Each gauge corresponds to the engine on same side of the aircraft as the gauge. The left RPM gauge or fire warning is lit? That means it's the left engine. Seems simple. Anyone in law enforcement will tell you that in a real gun fight, fear and the adrenaline that will be dumped into your bloodstream as a result, can nearly incapacitate. The same can be true for stage fright or any other high stress situation. Fine muscle control and reasoning can evaporate. Concert pianists, police, figure skaters, and pilots all have the same need to practice what they do until it becomes second nature. It counteracts the effects of fear and surprise. An old adage in aviation says that the first step of any emergency procedure is to first wind your watch. What this really means is that you should first take a moment and contemplate what is actually happening for there is very little in flying that requires instant reaction. An engine failure at 1000 ft certainly isn't one of those times. So how did they screw it up? The only way that that question will be definitively answered will be through a thorough analysis of the cockpit voice recorder to see who said what to whom. Someone identified the wrong engine as failed, and someone shut down the good engine. It may have been the same person. There was a high time instructor sitting in the cockpit jumpseat who may have had some influence. While I have no way of knowing for sure, my guess is that the pilots of TransAsia GE-235 allowed the surprise of an engine failure on takeoff to cloud their judgement so much that they rushed and made a simple, yet fatal error. But in a high stress environment and under the influence of an adrenaline dump, human judgement can go out the window. I know this because I've seen it happen. Lots of times. With students. Being an Air Force flight instructor is probably one of the least glamorous, yet one of the most rewarding jobs a young company grade officer can have. The T-37 was loud, hot and slow but an incredible amount of fun to fly. It was the students, though, that made the job a kick. They were beyond enthusiastic about being where they were. But while they worked hard and leaned forward, they knew that a few bad rides in the jet could bust them out of the program, and for many, their life's dream. That kind of pressure amps up the desire to do everything correctly to a fever pitch. This meant that when I'd pull an engine back in the jet or simulator, there were plenty of times when the student would jump on the wrong rudder. They'd overthink it and literally knee jerk the wrong foot. I also saw this plenty of times during spins. When the airplane is falling 10,000 ft a minute, the stress is palpable. I even had a student attempt to pitch his aircraft into mine on a formation flight when his intention was to break the other way. I was ready for him, and pushed my jet over to avoid a collision. He had telegraphed his intent by looking the wrong way while clearing. What these students were lacking was a deep and ingrained foundation of experience. They had no cushion to fall back on. This is what hours of training and repetition are designed to establish. 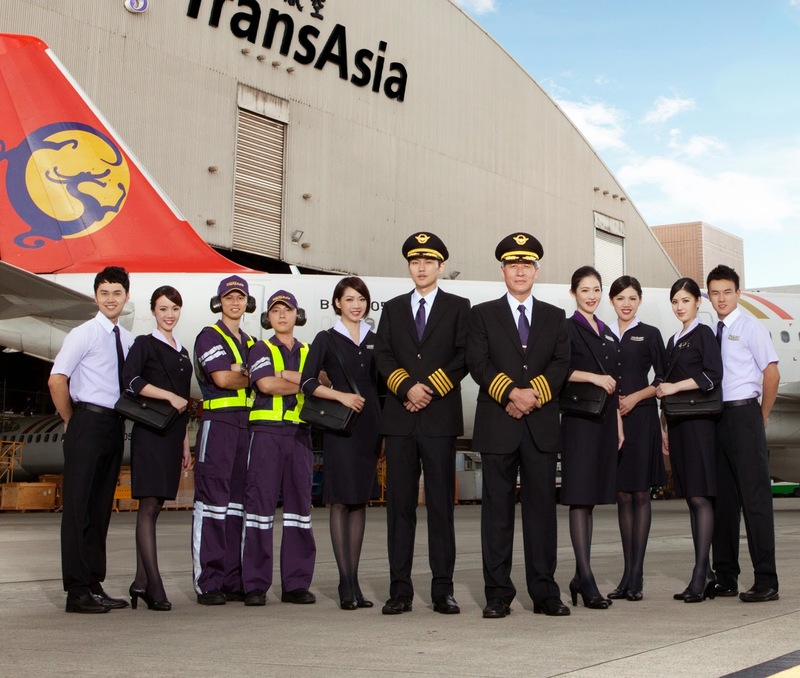 My contention is that while the TransAsia pilots had satisfactory hours totals on paper, they were lacking real experience in actual hands on flying. This is a byproduct of automation. But Weren't They Experienced Pilots? A pilot's flight hours used to be the badge of experience. Old heads could regale young bucks with the stories of how they obtained their thousands of hours hand flying a 707 around the world. This is no longer the case. Once a real measure of experience, automation can easily hide the measure of true experience that was once contained in a pilot's total hours count. For example, in a 14 hour trans-oceanic flight, pilots today may only actually hand fly the aircraft for a total of a few minutes or less. And it's not because they're lazy; this is usually corporate policy. The use of automation is becoming if not completely mandatory, then highly recommended. Automation saves fuel, and it standardizes the operation of the aircraft which managements like. And let's be honest, it's also safer. But it also allows the placement of low time pilots with little actual aviation experience in cockpits thereby staving off some of the effects of the pilot shortage. Pilots with many thousands of hours in their logbooks may have as little hand flying time as my former students. And the dirty secret about all of this is that airlines are just fine with barely qualified pilots staffing their cockpits. The alternative is to park airplanes. And should one crash, blame the pilot, make a public showing of retraining and get back to normal operations. The potential problems could be particularly acute in the Asia-Pacific region which Boeing projects will need 41% of the more than one million new pilots and maintenance technicians it forecasts will be needed by the world’s airlines over the next 20 years. The combined worldwide requirement is expected to include 533,000 pilots and 584,000 maintenance personnel. Airlines outside of the US are resorting to a number of strategies to provide the numbers of pilots needed to fill their schedules. These include ab initio training and automation. Ab initio training refers to a type of training program used mostly overseas which takes prospective pilots off the street and trains them from a pedestrian all the way to their placement in an airline cockpit. It typically involves a rudimentary flying training program in a simple trainer to the point where the student amasses several hundred hours and a $100,000 bill before being placed in an airliner. The emphasis is on airline operations as opposed to actual stick and rudder proficiency. Run in conjunction with participating airlines, the tab is then paid back over some number of years with the hiring airline. Graduating with only several hundred hours of total time, a prospective student then starts in the right seat of one of today's highly automated airliners. While proficient in running an automated cockpit, an ab initio pilot never has a chance to gain a solid foundation of "stick and rudder" or hand flying. A pilot with this type of background may fly for an entire career with nary a hiccup. Highly automated cockpits are designed to be flown from just after takeoff to just prior to landing in the control of the autopilot and autothrottles controlled by a flight management computer preprogrammed with the entire route. They work just fine for most of the time but on occasion things go wrong. And when things go wrong and the automation quits, a qualified pilot should probably be on hand to actually fly the airplane. Well, you might say, I'll simply avoid flying on small, obscure Asian airlines and should be just fine. Maybe. But consider that the pilot shortage is a worldwide phenomenon and airlines even here in the states are starting to curtail their schedules due to a lack of pilots. The FAA, in recognition of the hazards of low time pilots, recently raised the hours requirements last year from 250 to 1500 hours. This has only served to exacerbate the problem in that personally financing the required hours before being qualified to get a job is nearly impossible for most aspiring pilots. Add in the coming deployment of commercial drones which will take the few non-airline jobs available to aspiring pilots such as pipeline inspection or banner tows, and you can see the dilemma that even domestic airlines face. Will drones eventually replace airline pilots and make the whole problem moot? Absolutely. But in the interim, which may be a while yet, pilots should still probably be able to fly their aircraft when the automation, or an engine, quits. There is a way to cut this Gordian knot of a need for both greater numbers of pilots and pilots with actual flying skills. It will cost money of course and require some bureaucratic and corporate risk taking, but the alternative will be more preventable accidents like Air France 447 and Asiana 214 where nominally experienced pilots flew good airplanes into the ground for no reason. The US Air Force and US Navy have been running the equivalent of their own ab initio flight training programs for decades. In both services, pilot candidates with no previous flight time at all are trained in an intensive year and a half program and graduate to fly everything from transport aircraft to jet fighters. The difference between these military programs and their civilian equivalents is an immersion in nothing but stick and rudder flying to include aerobatic training even for transport pilots. If I recall, I graduated from USAF undergraduate pilot training with about 175 hours of total time and after a checkout in my follow on aircraft, was placed in the right seat of a KC-135 tanker which is a military 707. But every hour of that 175 was hand flown and involved aerobatics, spins, stalls, and formation flying. Expensive? Sure. Could such a program be modified for civilian use? I have little doubt that such a solution must, because the alternative will be either parked airplanes, or more likely, additional dramatic dash cam videos of crashing airplanes.